I recently attended the launch of the DMA Customer Acquisition Barometer commissioned by McDowall. 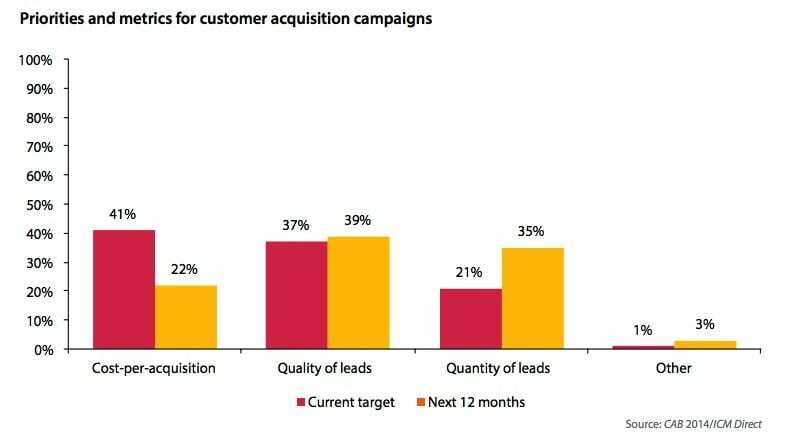 This is set to provide a regular benchmark to help marketers compare their approach to customer acquisition. In this post I will highlight some of the most useful findings from the detailed report. What does customer acquisition mean in 2014? 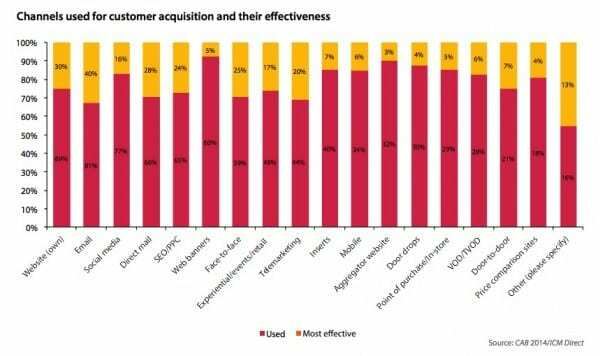 The video below summarises some qualitative evaluation from marketers showing their views on customer acquisition. The panel, Chris Bibby, Head of Performance Marketing and Wonga, Michelle de Souza, Head of CRM and Customer Insights at Age UK, and the Business Development Director at HP discussed how for customer acquisition investment to be effective it needs to review the long-term impact in terms of lifetime customer value and churn, showing the importance of having the right measures in place. 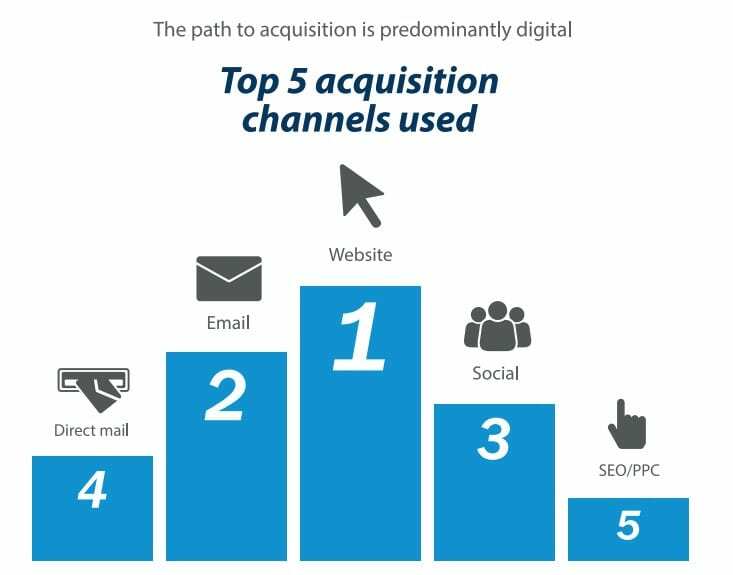 The headline from the infographic summarising the research is that digital channels are strongest with web, email and social channels used most widely through the integrated approach of inbound marketing. I’m not sure why a modern integrated marketing approach wouldn’t use all of these together though - so why aren't they all at 100% (and SEO/PPC)? For building lists of subscribers, list purchase is still rated effective by many. 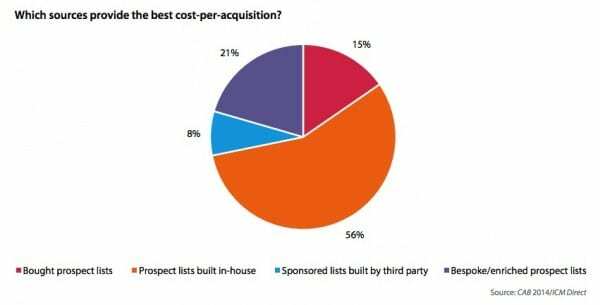 This chart shows that for large B2C brands purchase of opt-in lists is still common with purchased prospect lists and third-party sponsorship of lists rated top for CPA by more than a third. But the highest rated method of list-building by CPA was prospect lists built in-house - this shows the effectiveness of inbound marketing to build lists via a website and other activities used to add to an in-house list. The research here suggests a fairly even split for goal setting and evaluation of campaigns between Volume, Quality and Cost metrics measured by lead quantity, lead quality and CPA metrics. The apparent shift from CPA to Quantity seems hard to explain. Indeed, the reality is that you have to look at all three measures together - targets are set for a specific volume of leads of a particular quality at a target CPA! Other was rated low here, but reviewing long-term value is important here. This research was completed by ICM Direct via telephone interviews. 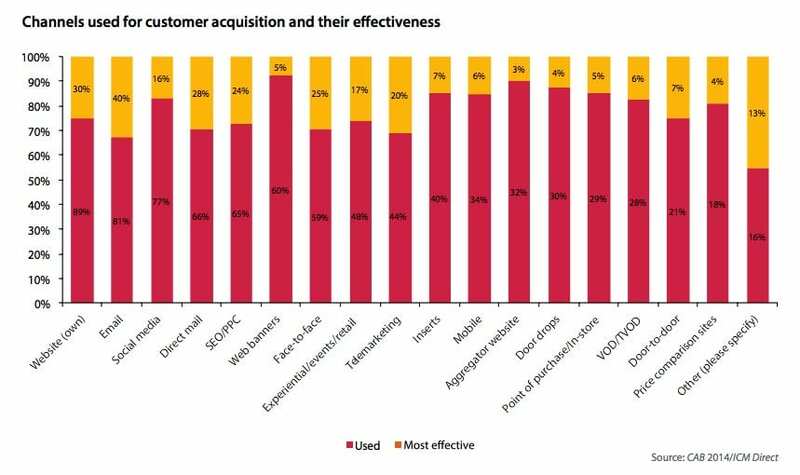 A sample of B2C marketers working in customer acquisition at client/brands in the UK was provided to them by the DMA sourced from the DMA’s database. Screener questions were included in the marketer survey to ensure responses from marketers working in B2C customer acquisition in client/brand companies. Eighteen questions were asked in total and 192 responses were recorded, from which 116 were considered valid for analysis after quality checks. The survey took place in March 2014.